Flamingopower! Had my first bottle of this just over six months ago – just before, in fact, I started writing this blog, and I thought it was sufficiently interesting to pick up another and write something. It is from Williams & Humbert, a classic old label whose Walnut Brown and Canasta cream sherries were favourites at our house when I was a kid. This one, of course, is not a cream. 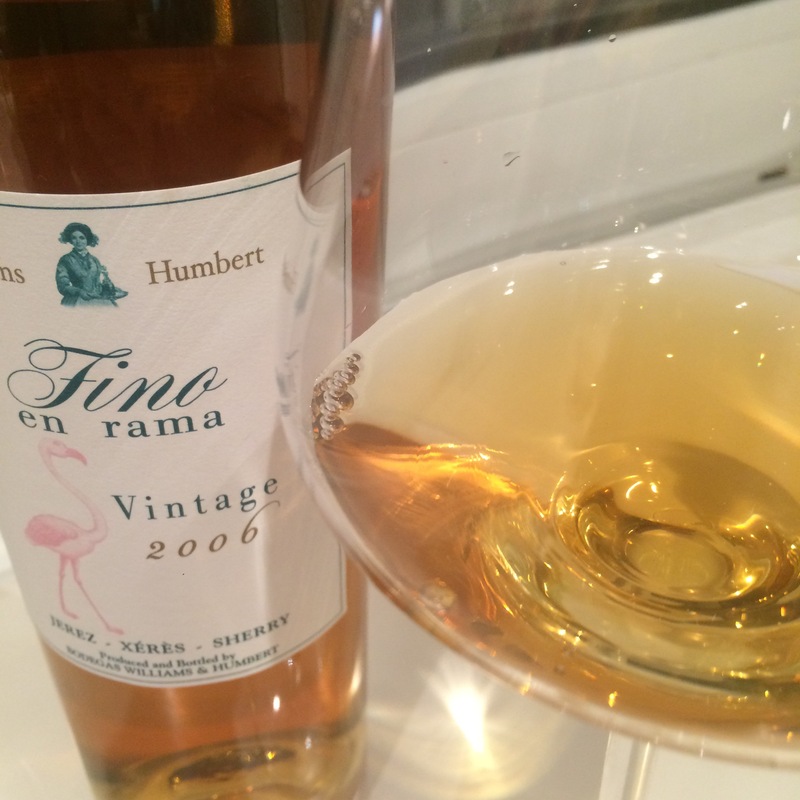 It is a vintage fino – statically aged in botas that were put aside in 2006 and bottled unfiltered in 2014. (For a fuller description check out the post on the excellent Sherry Notes.) Pretty unique stuff and very interesting, although I am not 100% convinced that these wines are better than their dynamically aged counterparts. The colour is a bit darker than straw and clear as a bell. The nose first up was frankly amazing: lots of yeast, even by sherry standards, a bit of alcohol, really herbal and pungent and hints of baked milk. On coming back to it a day later the differences were interesting – definite toasty, honey notes. It is smooth and potent on the palate. It is buttery in texture and has a buttery, yeasty flavour, with zingy salinity and alcohol. As big as it is, though, I find it a little hollow in structure, not as full bodied as it might be, and although it has a long yeasty tail even that seems a little thin. Overall a very interesting mouthful, just not as rounded and full bodied as it could be.